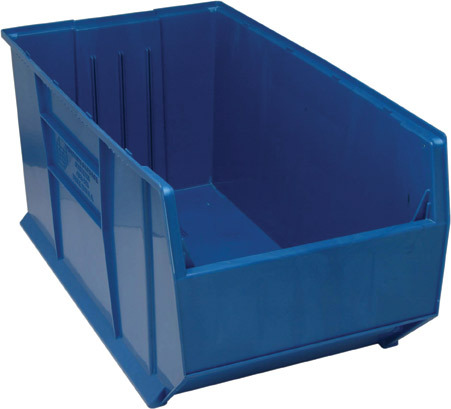 tough, and durable container that is used on work benches and storage bin shelves. Bins-Online...The source for plastic bins and more! Greater Storage Capacity - Except.........Larger !! Stacking Bins - Not designed for hanging rails because of the larger size of these bins! !